Good Health and well-being is determined by many factors. One of these factors is the body’s ability to rid itself of waste or pollutants a process commonly called detoxification. This non-medical term has long been exploited by the Spa industry. It is defined as a process whereby toxins, antigens or substances which cause an immune response, are eliminated. However, this term is overused and in general parlance is reduced to removing compounds, toxins, that may have harmful effects on cells are either neutralised or excreted from the body. Things we may call toxins are everywhere. Some come from outside the body, from the environment perhaps as pollutants such as heavy metals. Others come from the food we eat and the water we drink. The more junk food we eat the more toxin load we add. Our own metabolism, especially as it ages, also generates a significant amount of toxin. The key organs of detoxification are our liver, kidneys and our digestive intestines. All toxins pass to the liver where they are hope fully broken down, cleansed and passed to the organs of elimination. A healthy liver is key to detoxification. Due to lifestyle, food and excesses modern life often overburdens the liver. An overburdened or unhealthy liver is often associated with psoriasis, acne, chronic or recurring headaches, inflammations and chronic fatigue. The liver produces bile or gall. It is is a dark green to yellowish brown fluid that aids the digestion of fats and fat-soluble toxins in the small intestine. Fats store toxins. In humans, bile is produced continuously by the liver, and stored and concentrated in the gallbladder. After eating, this stored bile is discharged into the duodenum. Nutrients and chemicals that break down fat are called Lipotropic. Certain nutrients encourage or support the process of breaking down, eliminating toxin storing fats and Choline is a key player. The ideal sources of choline are animal foods like egg yolks and liver, which contain the most concentrated amounts of this nutrient and can be easily incorporated into the diet. Of course, you can buy supplements but usually in a form derived from soy lecithin. This byproduct of the soy industry sounds good and is also used as an emulsifier in commercial baked goods and chocolate. Although refined to be allegedly free of irritating allergenic soy proteins, this source of choline is not ideal- especially considering that 90% of soy is genetically modified and that the lecithin is often chemically extracted using harsh solvents like hexane! Good food is best. A co-pliot nutrient with Choline (the two work together) is Inositol. Inositol is a vitamin our bodies make from glucose and is present in all living cells. Good dietary sources are whole grain foods. The application of these two nutrients is vast covering diabetic control to mental disorder! toxic effects making by products that inhibit our cells. This is seen clearly by the condition of our skin. A toxin overload shows from age spots, sallow complexion, break outs and premature wrinkles. It follows that a detoxification programme must include antioxidants in some form. The best-known antioxidant is Vitamin E.
In spa scenarios, various teas are prescribed but ‘tea’ itself is a super drink! All teas from the camellia tea plant are rich in polyphenols, which are a type of antioxidant. Drinking water alone does not provide these benefits. Frankly there is little difference between black and green tea when it comes to anti-oxidants. It comes down to taste. The secret behind boosting our natural cleansing process is a good cup of tea a few times a day. Now lots of herbal teas make claims as being wonder drinks but its hard to beat red and blue berries of any type for detoxifying antioxidants. All are rich in anthocyanins. Laboratory research as well as studies in animals and humans have suggested that anthocyanins may play important roles in helping reduce the risk of cardiovascular disease (CVD), cognitive decline, and cancer. The role of anthocyanins in the prevention of these diseases has been linked to their antioxidant properties, but research now suggests that anthocyanins’ health benefits likely result from unidentified chemical properties in addition to their antioxidant capacity. The darker the fruit colour the more anthocyanins! One part of detoxing is the cleansing of the intestines. We eliminate toxins in our urine and faeces. If we do not eliminate them we may store them especially in fats or reabsorb them so increasing our toxin load. A healthy gut is needed and food and drink rich in gut flora are the answer to most digestive problems. In other words, plenty of live yogurt and kefir. One thing to watch out for in detox teas, though, is a common ingredient and herbal laxative called Senna. This well tries herb has a long history of use by those suffering constipation. However, senna works by irritating the gut and causes scouring and cramps if overused. While it can be helpful as a night-time drink short-term, taking senna for too long can cause vomiting, diarrhoea, electrolyte imbalance, and dehydration. Do not take senna regularly. Traditional and tasty liver cleansing stimulants are lemon, ginger and burdock. Juniper berries assist with urination. 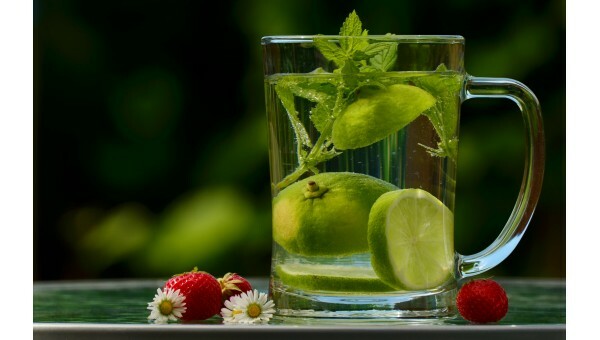 Finally, the best detoxification plans follow a pattern of eating fruits, vegetables and whole grains that are fresh, raw and organic, while eliminating sugar, fats and refined carbohydrates. Teas are an aid to digestion and cleansing for the liver and kidneys as well as supplying anti-oxidants. 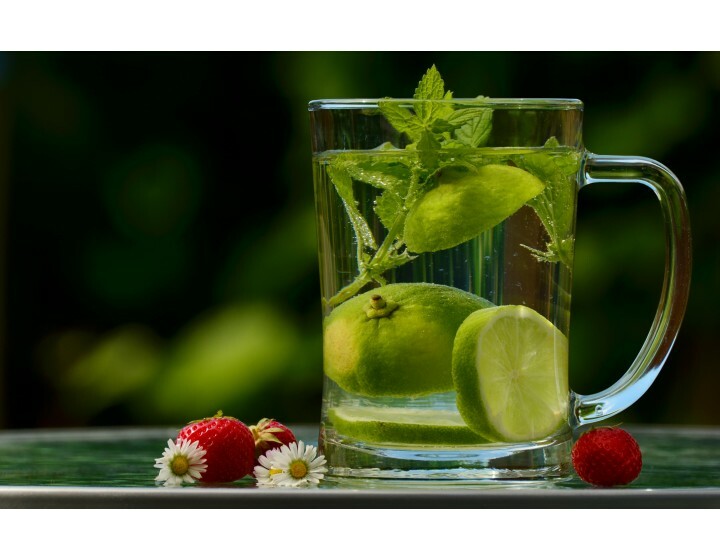 Adding a detox tea to an already healthy diet may benefit your body simply by increasing fluid intake!